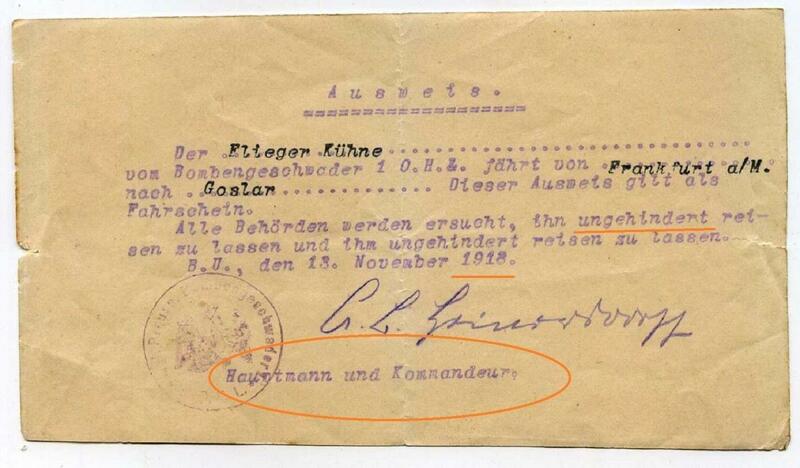 I am now fairly certain that the signature in post #23 is Hptm Pohle. Bombengeschwader 1, just after the end of the war - can anyone identify the signature? Here is one from FA 4 in 1918. Can anybody read the signature? These two are from a silver box signed and engraved by 36 men on the lid. 34 are ID'ed as PLM Flieger. Only these two remain unidentified. Can you help? The first is in the centre below Bongartz. The second is at the bottom below Richthofen and Boelcke. Thanks! The second signature is a bit difficult for me, but I tried looking up the first. It should have been relatively easy, but I'm not coming up with a match. I'm not convinced that first one (or the second) is a pilot or an observer. This box has the signatures of PLM winners to flieger AND U-boat. However, after looking at aces for a match I did look up some obvious U-boat commanders and I didn't find a match. Yes, thank you, Claudius. The types of PLM winners are all segregated. 36 PLM winners to Flieger on top--34 confirmed! It would be odd if 2 out of 36 are non-Flieger. Ahh, a very good point. I'll go back to looking at the fliegertruppen for a match. But it is beginning to look that way. The front of the box has the U-boot and the two sides Army. Maybe they are Army names? Thank you for trying. Maybe I will post the unidentified U-boot names and you will spot somebody. Referring back to my own post (no.27) from 2014, could the name be Hptm von Hünersdorff ? 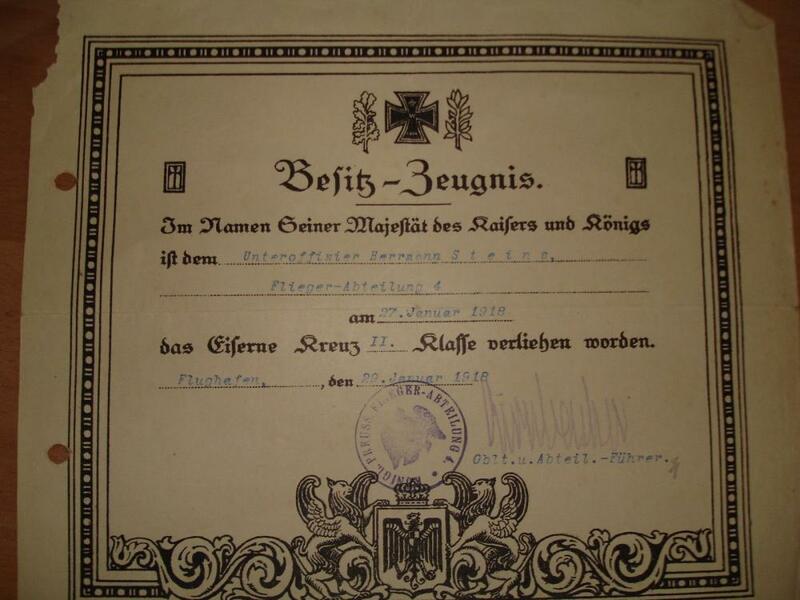 I am pretty sure it is Erich Carl Benno Heinersdorff, *29.5.1874 in Culm, †22.5.1930 in Hamburg; Hptm., IR 147, Maj.a.D., zuletzt Okdo. d. 18.Armee. Kurt v. Hünersdorff from the 1.GFußAR was still an Oberleutnant, receiving the Charakter as Hptm.a.D. on 31.3.20.